Do you suffer from bad breath in the morning or have sensitive teeth? Well, fret no more as Dentiste is here to the rescue with two products that will solve your problems! A little lesson first as to how do we get bad breath? Well, when we are sleeping, our saliva flows slower than normal.And the anaerobe bacteria grows quickly, therefore, producing smelly volatile sulphur compounds which gives you that stench when you wake up in the morning! Dentiste's night time toothpaste will be able to let you feel and SMELL the difference within the first night of usage. 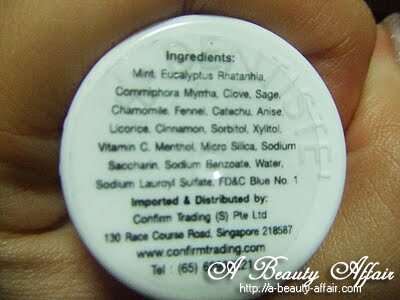 It contains 14 natural extracts ingredients which are naturally antiseptic and antibacteria. Those who have diabetes, heart diseases requiring extensive care for their oral hygiene. 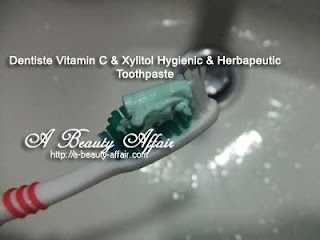 The texture is slightly runny unlike the usual toothpastes which are more creamy. I was worried that it would not foam up well but it worked just fine. The minty taste does not numb your tongue like some toothpaste. I indeed felt the difference within one night of usage, I did a breath test and in all honesty, I thought it did not stink at all. In fact, my teeth also felt fresh and clean. 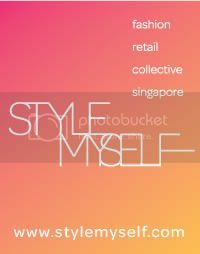 Overall, I found it pleasant to use just that I got to get use to the texture. 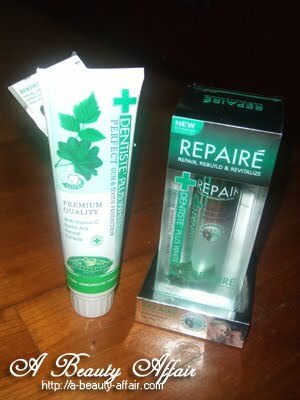 Next, we have the new Dentiste REPAIRE Toothpaste which repairs and rebuilds the teeth by using bone regeneration technique. Sounds interesting, doesn't it? According to Dentiste, like bones, the lost essential minerals (demineralization) will produce a lot of small holes which will expand larger to cause tooth cavities, sensitivity, erosion, gingivitis and finally the lost of our teeth. The only way to solve this problem is to bring those essential minerals back into the teeth through the method known as Remineralization. 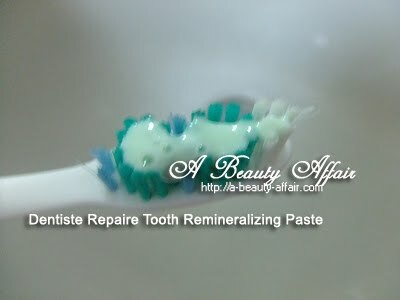 So how can Dentiste REPAIRE Toothpaste help us with these problems? 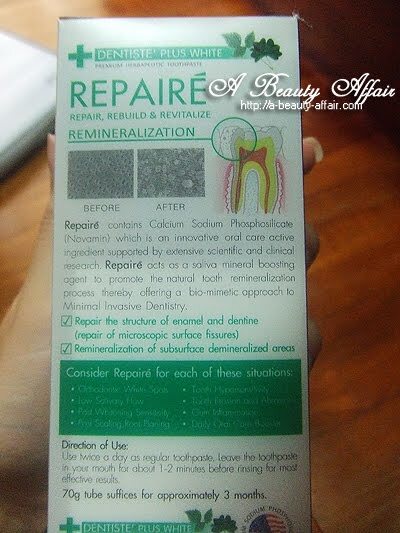 "Bioactive material (Calcium Sodium Phosphosilicate) used in the most advanced bone regeneration material to help repair the teeth by bringing back lost essential minerals into the teeth (remineralization). This revitalizes your teeth & producing teeth that are less sensitive, cleaner, whiter, harder and healthier than possible with old technologies." Natural Extracts - Naturally antiseptic and anti-bacterial. Xylitol – Natural taste enhancer that creates an unwelcome environment for bacteria. CDX ( Cyclodextrin Complex ) - Traps bad breath effectively. Stable Vitamin C – Imported from Switzerland, this helps to increase antibodies for healthier gums. pH 8.0-8.5 Calcium Sodium Phospholicate reacts with saliva. Na+ ions release, elevating pH into the range essential for remineralization. Ca2+ and P5+ ions are released, saturating saliva with the ions. Litkowski LJ, Hack GD, Sheaffer HB,Greenspan DC. Occlusion of dentin tubules by 45S5 Bioglass®. In, Bioceramics 10, Proceedings of the 10th International Symposium on Ceramics in Medicine, Paris, France, Oct. 1997. eds. Sedel L, Rey C.
Calcium, Phosphorus, Sodium and Silicon. Like Magnetic field, Ca2+ and P5+ ions will instantly bind to the pores to build new HCA crystal to remineralize the tooth surface. Na+ and Ca2+ ions overwhelm bacterial cells’ ability to regulate their water content, leading to lysis (cell death) of harmful bacteria in the mouth. The texture was more runny than the Nighttime toothpaste and I am really not used to it. After the first usage, it did help alittle with my sensitive teeth issue. I could feel the difference as I gaggled with the cold tap water and there was only alittle discomfort as compared to the past. I guess I must use it for a few more days before putting it to the test again. It's pump bottle packaging is something new and really user-friendly. No more squeezing till the toothpaste pack gets grossly out of shape or messes caused by toothpaste spilling out and dripping all over the bathroom sink. Just one pump and you're ready to brush. No mess, no spills.